Watsontown Brick Co. has introduced a new tumbled look for its Luzerne Paver. 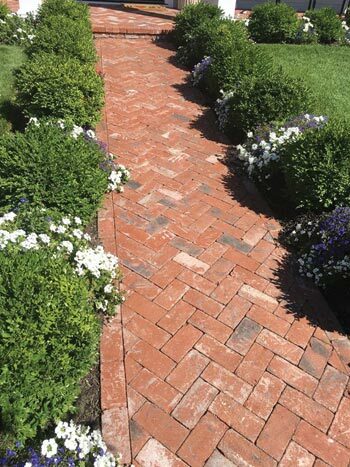 Using a combination of native red Pennsylvania shale and imported yellow clay, the regular Luzerne Paver is tumbled with black and white paint to achieve the desired distressed and rustic appearance, with the look of used brick. Sized at 2.25 x 3.75 x 7.5 inches, this has been a popular style and color in the New York market so far. The photo illustrates a recent installation at a residence in Long Island, N.Y.
Royal Thin Brick, now available from Ironrock, can be installed using tile-setting methods or with a thin brick installation system. Ironrock, a ceramic tile and thin brick manufacturer located in Canton, Ohio, has a new line of thin brick veneer called Royal Thin Brick®. Royal Thin Brick is kiln fired and tumbled thin brick made from locally sourced and recycled clay and shale. Lafayette College Arts Plaza in Easton, Pa. The American Institute of Architects (AIA), Pennsylvania Chapter awarded a 2013 Citation of Merit to the recently completed Lafayette College Arts Plaza in Easton, Pa. Spillman Farmer Architects (SFA) of Bethlehem, Pa., served as the project’s architect. 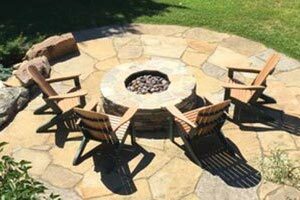 If you are an outdoor designer, architect, or stone mason who has worked for some time in our business, you have learned that no two jobs are ever the same. When it comes to masonry designs, our customers are always interested in what is new or hip. Our business has grown at such a fast pace that it is very important to be aware of any new product or techniques of installation, since they make us better at what we do.